Caption slip reads: "Photographer: Richardson. Date: 1952-12-26. Reporter: Swaim. 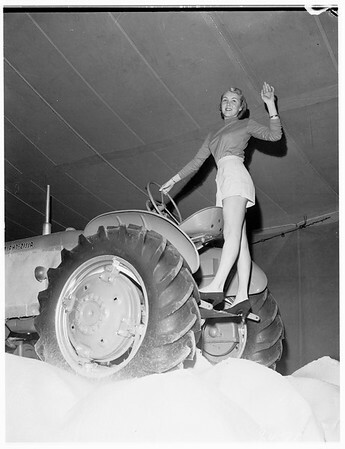 Assignment: Rose Parade Floats.Norma Drageset, 1951 Rose Princess, trying out seat of tractor on USMC float."